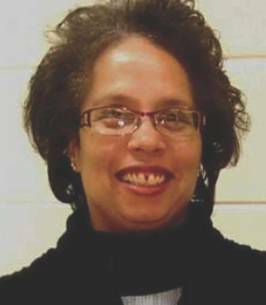 Gwendolyn Boles Service Details - Toledo, Ohio | The House of Day Funeral Service, Inc.
Gwendolyn Marie Boles was born Nov. 21, 1964 in Toledo, OH to the union of Ernest W. Boles and Mary L. (Holston) Boles. She departed this life on Nov. 15, 2018, after a three year battle with bladder cancer. Gwen or Gwennie was a graduate of Thomas A. Devilbiss High School, She believed in working, and has held several jobs in her lifetime. Her most recent place of employment was at Honey Baked Hams. Wherever she worked, Gwen was always trained to do several positions because she didn't "play around" when it came to working. Gwen gave herself to Christ early in her adult life, and was baptized at the Southern Missionary Baptist Church in Toledo, Ohio. Gwen leaves to cherish her memory her beloved son, Caron LaShawn Boles; her beloved mother, Mary Louise Boles; sisters, Sheila Ann Abraham and Amanda Jane Abraham; brother, Jeffrey Walter Abraham; sister-in-law, Jeannette Marie Abraham; aunts, Eva (Dennis) Cole and Nancy Strozier; uncle, Walter Holston; her best friend of over 30 years, Sheila Pope Moore; her best friend since high school, Cheryl Griffin Cody; nine nieces and nephews, seven great nieces and nephews and a host of other family and friends. The family would like to thank everyone for their endless thoughts, prayers, and concerns regarding Gwen and Caron. It is encouraging to know that their is always someone there who has your back. We would also like to thank the kind nurses at St. Anne Hospital, Heartland ProMedica, Dr. Burton at The Toledo Clinic, and Dr. Garcia at The Cleveland Clinic. To send flowers to the family of Gwendolyn Marie Boles (Boles), please visit our Heartfelt Sympathies Store. My deepest sympathy to the Boles family. In the midst of your sorrow, I am praying our Father will hold you close and comfort your heart. Sending our love and prayers to Caron, the Boles family and friends. She was a blessing on this earth. She was all about Caron and the love she had for him was endearing. She will be deeply missed. PeacewithGod.net has been a source of hope & inspiration and we thoughtfully share. May our risen Lord richly bless you all now and in the days ahead. To the Boles family, on behalf of everyone here at HoneyBaked Ham we express our condolences to you. Gwen was the epitome of drive here at HoneyBaked Ham and we valued the relationship we were blessed to have with her. May our God keep you and hold you during this difficult time in your life. To Amanda and the Boles family. I'm so sorry to hear of Gwen's passing.We were classmates at DeVilbiss High School and she was always funny. I pray strength for your family and her son during this time. Dear Boles Family , I'm so sorry for your loss. When we lose a loved one in death, we may become overwhelmed by grief. The Bible tells us that Jesus wept when his dear friend Lazarus died. Yet, just minutes later Jesus performed an astounding miracle of raising Lazarus back to life!In doing so, he gave all mankind solid grounds for faith in the amazing promise he had made earlier when he said: “The hour is coming in which all those in the memorial tombs will hear [Jesus’] voice and come out.” (John 5:28, 29) May the precious hope of a resurrection to life on a paradise earth comfort you during this time.